(10 a.m. EDT) -- As part of its Celebrity Revolution program, Celebrity Cruises is investing more than $500 million in a fleetwide refurbishment program that will include upgrading the suites on all ships, renewing all Millennium-class cabins with new designs, rolling out its popular Qsine restaurant to all ships, and redoing the entire spa on Millennium-class ships. 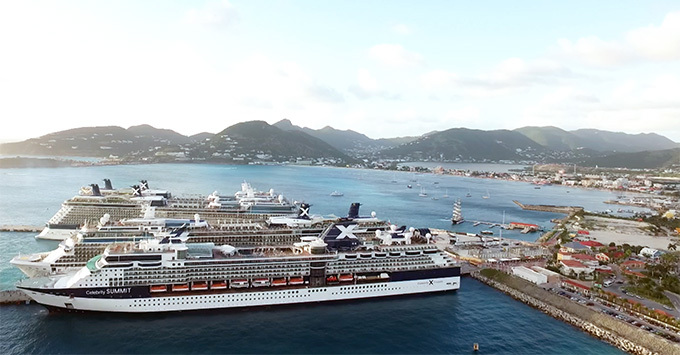 The first ship to get a makeover will be Celebrity Millennium in early 2019, followed by Celebrity Summit in March 2019; the rest of the fleet will be refurbished through 2023. "We started talking about a revolution a while ago," Lisa Lutoff-Perlo, president and CEO of Celebrity Cruises, told Cruise Critic in an interview. "Ever since we introduced Celebrity Edge." Included in the revolution, which Cruise Critic reported when it was first revealed back in October 2017, is not just Celebrity Edge, but also Celebrity Flora (the first purpose-built ship specifically for Galapagos cruising), she added. The revolution is now coming to the rest of the fleet, most dramatically to the 20-year-old Millennium-class ships. The style, finishes and fabrics on the Millennium-class ships -- many of which are dark and absorb natural light -- were appropriate for the time they were built, Lutoff-Perlo noted. Celebrity Edge and the modern, light-filled designs created for that ship (and even those found on the Solstice-class ships) gave the line the perfect opportunity to bring these older ships forward to today, she said. Below is a breakdown of the changes coming to Celebrity's ships. One of the most dramatic changes (on both Millennium- and Solstice-class ships) will be the transformation of Michael's Club to the Retreat Lounge. Originally created as a gentleman's cigar lounge, the space always has been dark and masculine. 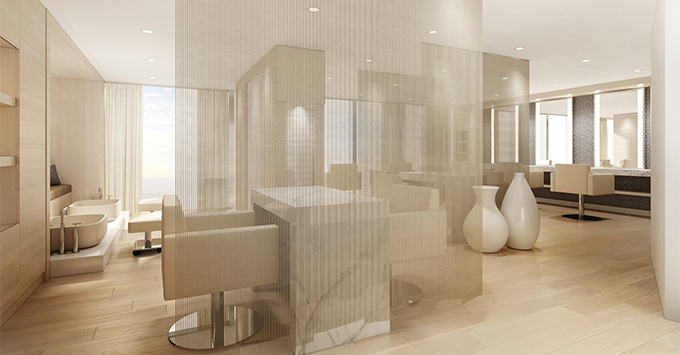 Working with designer Kelly Hoppen, who did all of the suite designs on Celebrity Edge, Celebrity is transforming the space into a light airy space. Cabins on the Millennium-class ships will undergo a similar transformation, with the line taking all the cabins down to the steel -- including in the bathrooms -- and rebuilding with a fresh layout and the airier decor Hoppen is known for. Celebrity also will revitalize the cabins on the Solstice-class ships, but without taking them down to the steel first. All rooms on both ships will be fitted with RFID locks, the line's high-speed Xcelerate Wi-Fi, Bluetooth capability and Celebrity's eXhale bedding featuring cashmere mattresses. 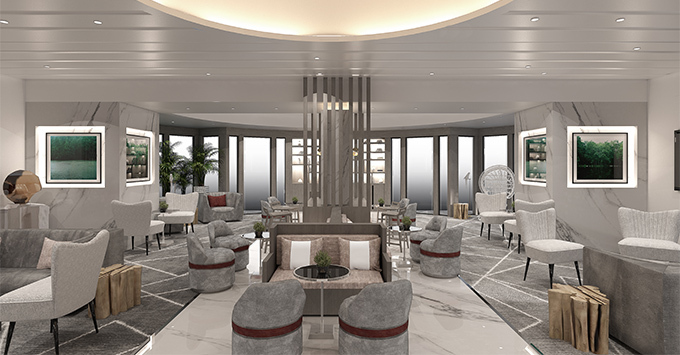 As mentioned above, the Michael's Club on all ships will be turned into the Retreat Lounge, an exclusive indoor space for suite passengers that features concierge service for any arrangements cruisers want help with -- onboard the ship or off. Accompanying the Retreat Lounge will be the Retreat Sundeck, an open-air space with plush loungers and an outdoor bar. A simple transformation (from a darker decor to light) will take place in the dining areas, as well, particularly in the main dining rooms on the Millennium-class ships. "That Main Dining Room is spectacular, located in the aft end of the ship, with those floor-to-ceiling windows," Lutoff-Perlo said, "but you don't get to appreciate it with the current design's finishes and fabrics." Compare that to the new design, and "when you look at it with minimal fabric on the windows and the lightness around the pillars and the carpets, all of sudden the light comes in, you notice the windows and the amazing views." The Main Dining Room is not the only culinary venue to be refreshed; most other changes will extend to the rest of the fleet (not only on Millennium-class ships). In addition to a redesigned Oceanview Cafe that offers an open, marketplace-inspired design, Qsine, which will be rolled out to all ships in Celebrity's fleet, will see a "small" addition. That new addition is the virtual Le Petit Chef experience, which brings the table to life as a tiny animated chef helps prepare the food. 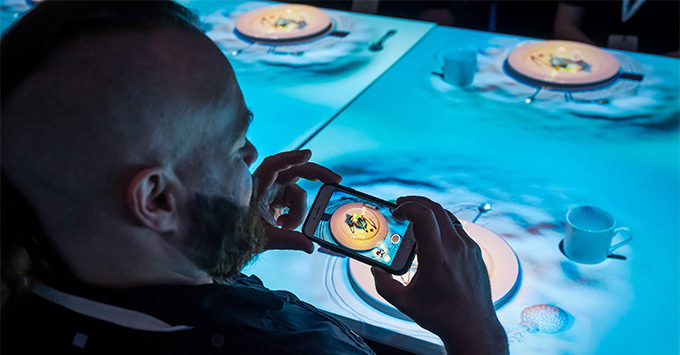 Lutoff-Perlo revealed that Le Petit Chef was always a part of the plan for enhancing the Qsine experience, but was first introduced to the industry as an element of Celebrity Edge's culinary offerings. (Le Petit Chef is already a part of the Qsine dining experience on Celebrity Infinity and Celebrity Reflection -- its offered every night, at two seatings per night, at $55 per person.) All ships will have the Le Petit Chef Experience by the end of 2019. Another big change across the fleet will be the transformation of the Cellar Masters wine bars to a gastrobar concept, which will serve some 40 craft beers. Virtually every inch of the ships will be touched during the refurbishments, including the spa. As with so many of the changes, the transformation of the spa on the Millennium-class ships will be the most dramatic, with a complete overhaul that includes the entire layout, and several of the features and amenities of the SEA Thermal Suite that will be on Celebrity Edge. Other spaces seeing improvements will be the newly reimagined Passport Bar, the Hideaway, Team Earth and the library, while new shopping areas will be added with brands including Shinola, John Hardy and Hublot. The photo galleries on all ships also will be converted into digital spaces.